Irregular expenditure of audited state-owned enterprises increased five-fold to R27bn, according to the Auditor General’s report for the 2017/18 financial year. The portfolio committee on public enterprises was on Wednesday briefed by representatives from the Auditor General on the audit outcomes for the department of public enterprises and its entities. The department received a clean audit. State-run diamond miner Alexkor received an unqualified audit opinion with findings. Both Eskom and Transnet received qualified audit opinions with findings, with Transnet particularly regressing in its audit outcomes. 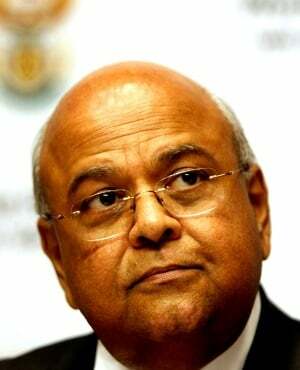 The outcomes for Denel, SAA, SA Express and Safcol have been delayed, as these annual reports have not yet been tabled. As a result, the reported figures on irregular expenditure and fruitless and wasteful expenditure could be greater, the AG clarified. ACDP MP Steven Swart said the exclusion of the audit outcomes of a few entities was worrying, especially as it appears there has been an overall regression in audit outcomes. Other MPs shared similar views. According to the AG’s report, irregular expenditure – which is incurred through non-compliance with supply chain management policy – increased by more than 100%, from R4.9bn reported in the previous year, to R27.7bn. Of this expenditure, 44% relates to transactions which were incurred in previous years, but were only reported in the 2017/18 financial year. The majority, or 56%, of the irregular expenditure relates to transactions which occurred during the 2017/18 financial year. The AG noted that there was a regression in compliance in supply chain management processes, as "unfair and uncompetitive" procurement processes were followed at all of the audited entities - Eskom, Transnet and Alexkor. The AG flagged the lack of urgency from management at these entities to address risks and improve internal controls. There has also been a lack of consequences for transgressors at these entities, according to the AG. "Officials who deliberately or negligently ignore their duties and contravene legislation are not held accountable for their actions, such behavior can be seen as acceptable and tolerated," the report read. Notably, the "instability" and "prolonged vacancies in key positions" at these entities caused a "competency gap" and affected the rate at which audit outcomes could be improved, the AG said. The AG recommended that timely consequences be implemented for officials who ignore their duties or contravene legislation. The AG called for a list of actions to be taken against transgressors, which must be provided quarterly to the portfolio committee, who should follow up on the irregular, and fruitless and wasteful expenditure. The committee should also monitor whether commitments made by management and other accounting authorities are held, in an effort to ensure that audit outcomes are improved. Swart had expressed views that the AG "needs more teeth" to have the power to exercise consequence management especially considering repeat offences. President Cyril Ramaphosa is considering the Public Audit Amendment Bill, Fin24 previously reported. The bill will give the AG power to have auditees comply with its recommendations.